Home › amazon › Adventures in new peripherals! I use my computer a lot. Every day in fact. And whilst my computer is quite old and riddled with issues, I think that the way you interface with said computer is quite important. That’s why I have two HD monitors that provide a very open workspace with plenty of room for various windows etc. The one part of my setup recently that has been lacking has been my computer’s peripherals: the mouse and keyboard. In the past I have made do with a membrane Logitech K310 and some cheap mouse from Dell. After Christmas I needed to do a considerable amount of typing over a long period of time and I just could not bear it any longer – the keyboard was incredibly uncomfortable – the main reason being that the keys were too far apart. Using some of my Christmas money I decided to put an end to this! Most keyboards are composed of a set of three plastic membranes, with rubber dome-shaped switches underneath each key. Press a key, and the rubber switch pushes through a hole in the middle membrane to connect the top and bottom membranes, which creates an electrical circuit that causes the keyboard to send the input to your PC. This keyboard design is inexpensive and spill-resistant, but it doesn’t give you as much tactile or audible feedback when you press a key, which can change the way you type. So I set out to buy myself a mechanical keyboard and boy are they expensive! You can easily spend £100+ on one! 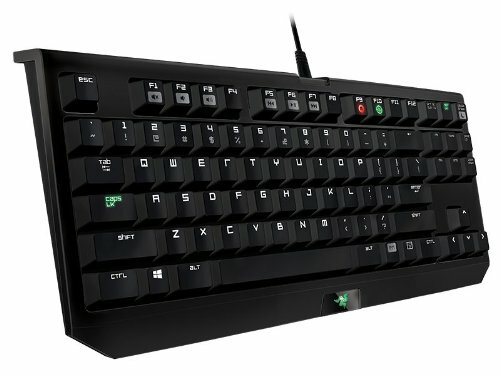 I didn’t have that sort of budget and so I settled for one of these: a Razer BlackWidow Tournament Edition. Around £60 off of Amazon. It is one heavy chunk of keyboard and I could now not live without it. The difference is remarkable. Your hands wizz over the keyboard and your words-per-minute rate soars! The experience is far more enjoyable than with my old membrane keyboard! I wrote a review of it here. You simply do not go back from a mechanical as soon as you have got one! That’s the keyboard, what about my mouse? Now I was prepared to shell out a fair amount for a mouse – in the end I spent £10 on this absolutely excellent Anker Vertical. Again, the experience with this piece of kit has been nothing short of extraordinary! 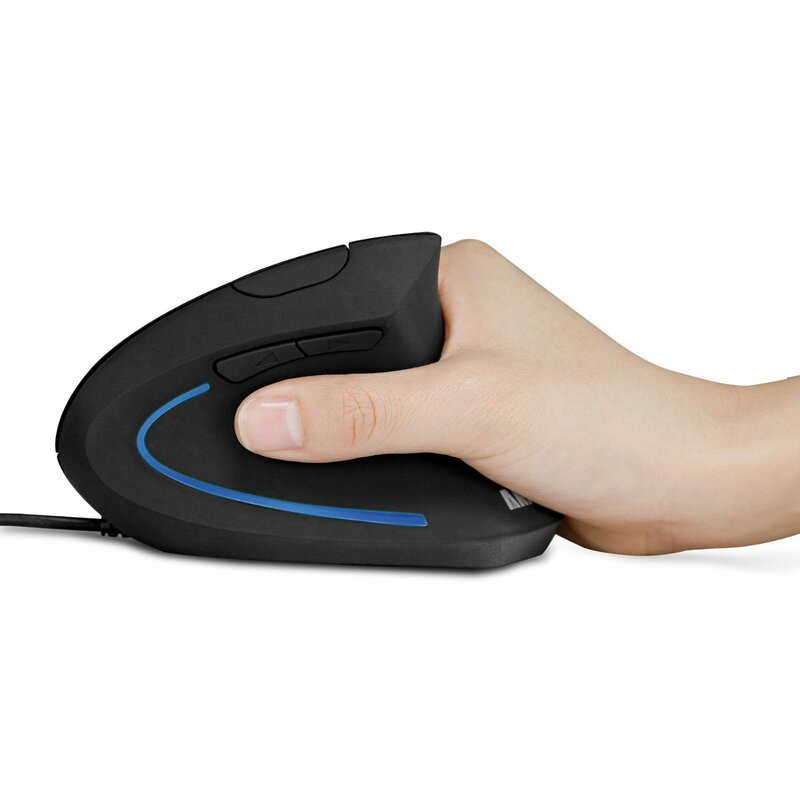 The mouse is incredibly comfortable and allows for great control of your pointer. It is ergonomically designed and the idea is that you free yourself up from any kind of repetitive strain injury. I didn’t purchase it for that reason but I still have not a single regret. The mouse was a great affordable purchase that I would highly recommend! In short… I have had an interesting adventure with new computer peripherals. It is safe to say that I will not be going back to the land of cheap keyboards and normal mice! ‹ New Year. 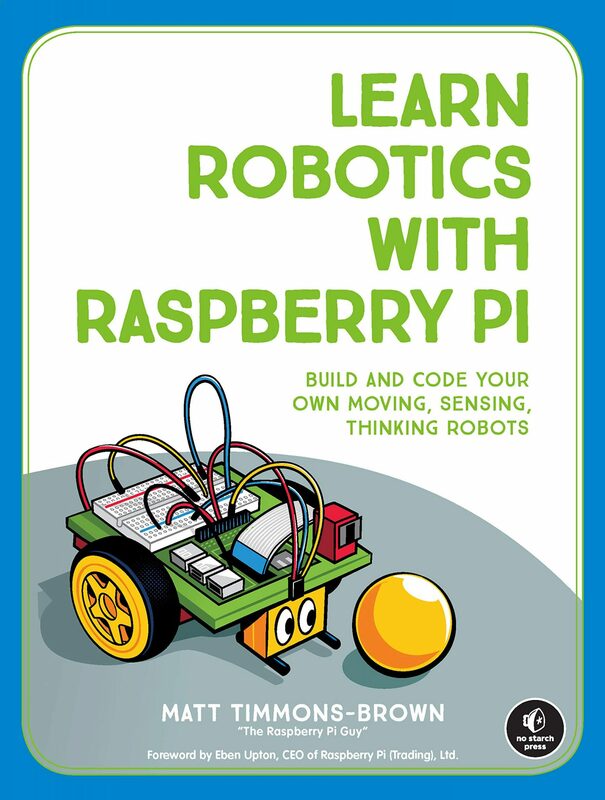 More Pi? WoW!! Your Keyboard is that cool!! But Mouse ??? It’s just a vertical one! Works the same as any normal mouse but I think they are much more funky and comfortable!